The launch of this major installation in Auckland, New Zealand’s architecturally significant Britomart Transportation Centre is the result of a remarkable collaboration between NanoLumens, QMS Media, a leading outdoor media company in Australia and New Zealand, and Digital Place Solutions (DPS), a leading Australian digital display and place based media consultancy according to NanoLumens Vice President of Strategic Accounts Almir DeCarvalho. The new ‘Britomart Towers,’ as they are called are a galvanizing pair of premium digital displays that are prominently situated in the busy transportation hub that combines a bus interchange with a railway station in a former Edwardian post office that has been extended with expansive post-modernist architectural elements. The Britomart Station towers are comprised of two 6mm NanoSlim portrait-sized displays that are mounted directly to elevator shafts on either side of the main platform exits from the subway. 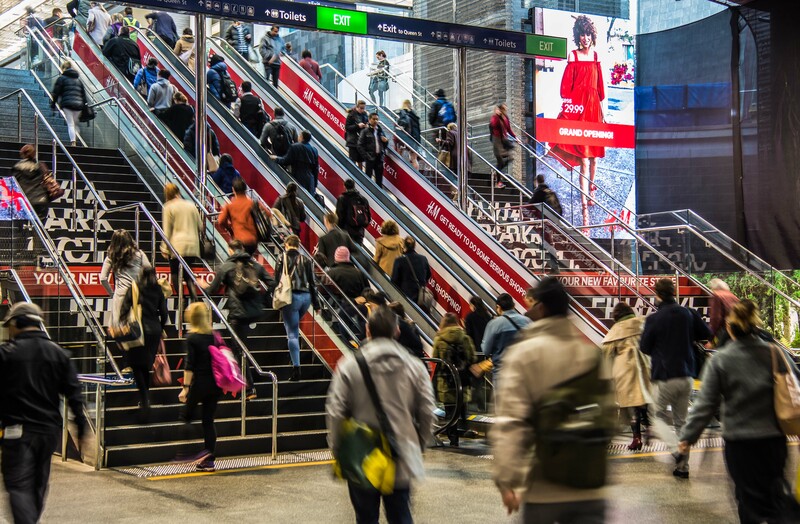 Measuring 2.7m (W) x 4.8m (H), the displays provide a dominant media opportunity to impact 100% of the passengers exiting the busiest metro station in New Zealand. 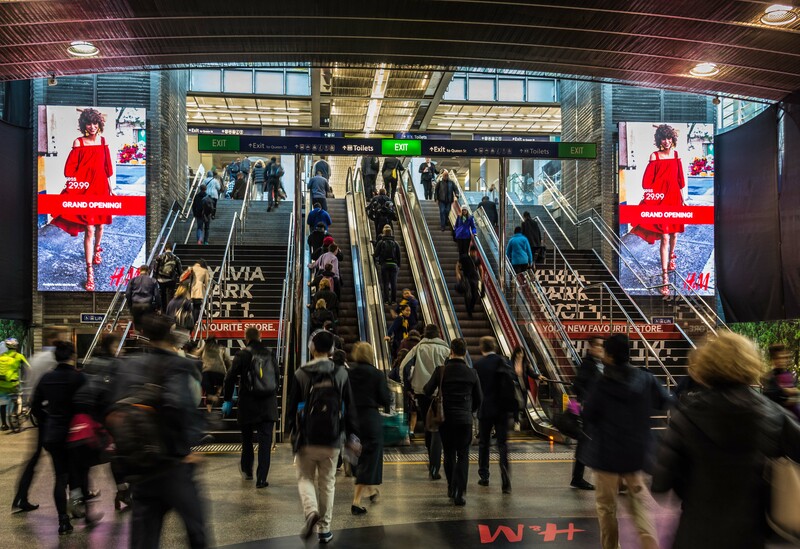 What’s more, the high-resolution displays are configured to provide synchronized content that double the advertising impact within the heavily trafficked commuter environment. To achieve the desired end-result, QMS Media, DPS and NanoLumens worked collaboratively to meet and exceed the requirements of Auckland Transport for this project. With the deployment being in an underground railway station environment, NanoLumens was required to provide very specific product certification data for the display technology, including power consumption and fire ratings, to ensure that the displays didn’t adversely impact the environment. Having met all of Auckland Transport’s technology requirements, the deployment schedule was also of critical importance. “Being an active transport hub, the production, delivery and installation schedule needed to be spot on to minimize any potential disruption to passenger movement,” Rubie emphasized. Working with the existing design of Britomart Station was a key requirement of the project. The station is world class with architectural wall coverings and stainless steel highlights. The low profile and light weight of the NanoLumens displays supported the design of the environment, providing a minimal impact physical structure that delivers reliable, bright and high resolution images for commercial advertising. “These advertising towers now provide some of the best advertising opportunities in New Zealand. Digital Place solutions and NanoLumens are proud to be a part of this exciting project and we look forward to further projects with QMS Media and Auckland Transport” Rubie concluded.